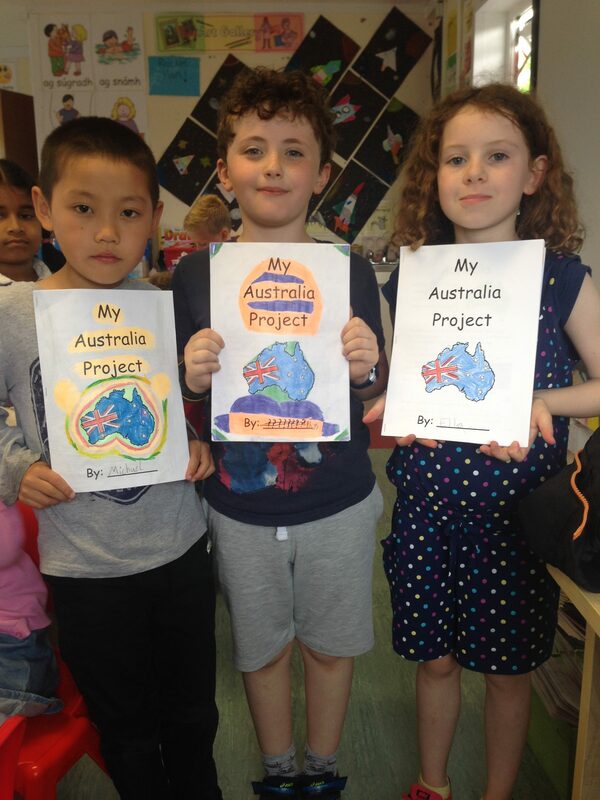 In June, Ciara’s First Class have been learning all about Australia. 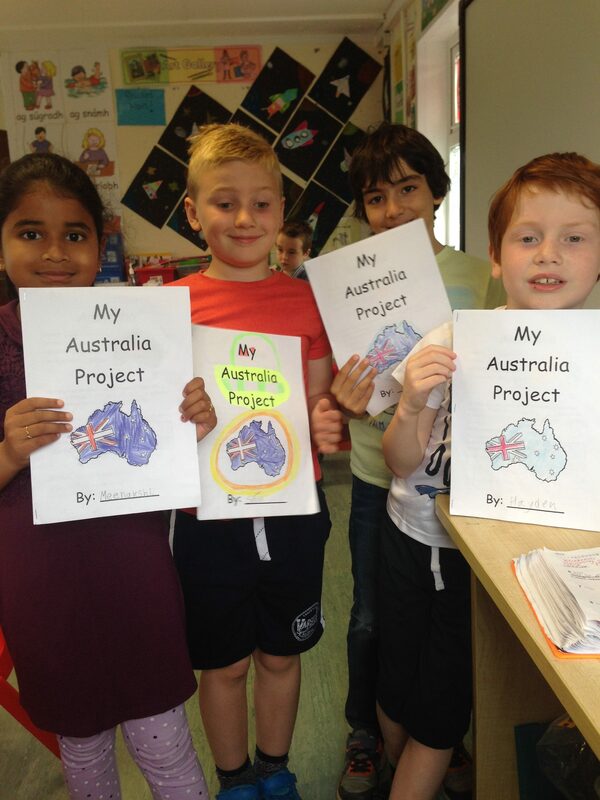 The children have really enjoyed this topic and worked really hard on their ‘Australia Projects’. Look at how proud they are! We always do our best to integrate our monthly themes through all the different curricular subjects. In Geography, we studied Australia’s location, population and landmarks. In Science, we learned all about the interesting and dangerous wildlife found in Australia, and we studied the beautiful Great Barrier Reef. 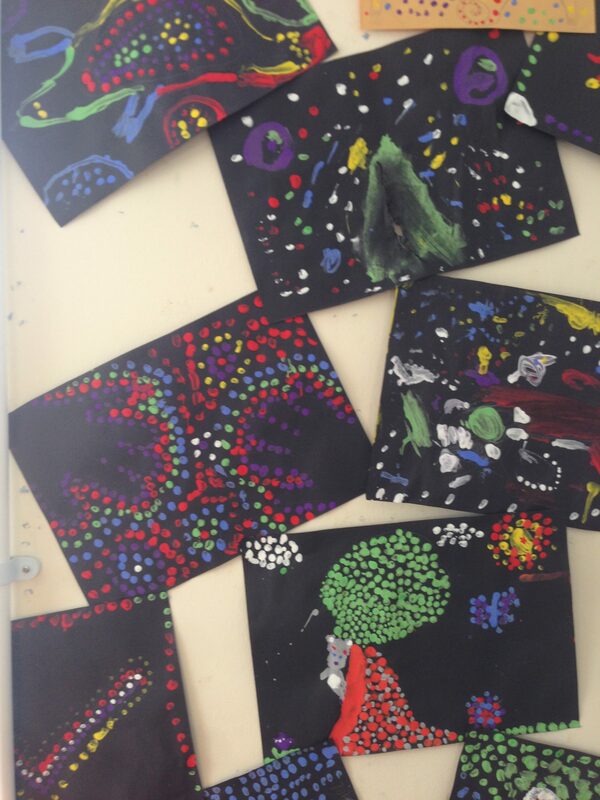 In History, we learned the about Aborigines. 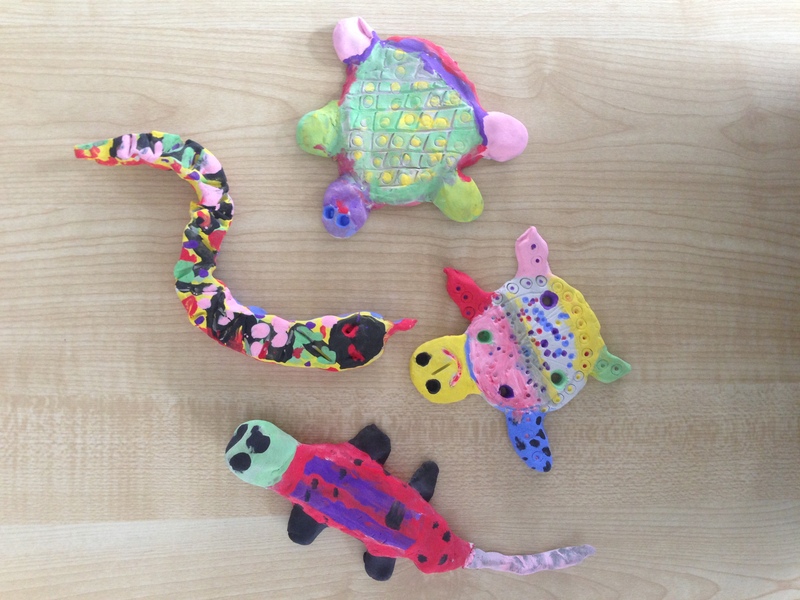 We studied their ancient carvings and created our own stories using ancient aboriginal symbols. 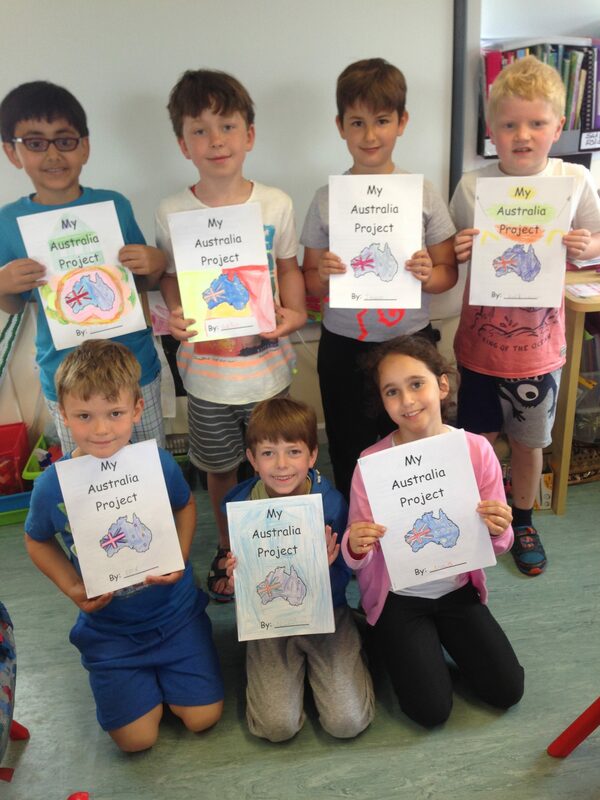 We paid a visit to John’s class to present our projects and share our learning. We also performed the Australian song ‘Kookaburah sits in the old Gum Tree’ for John’s class. 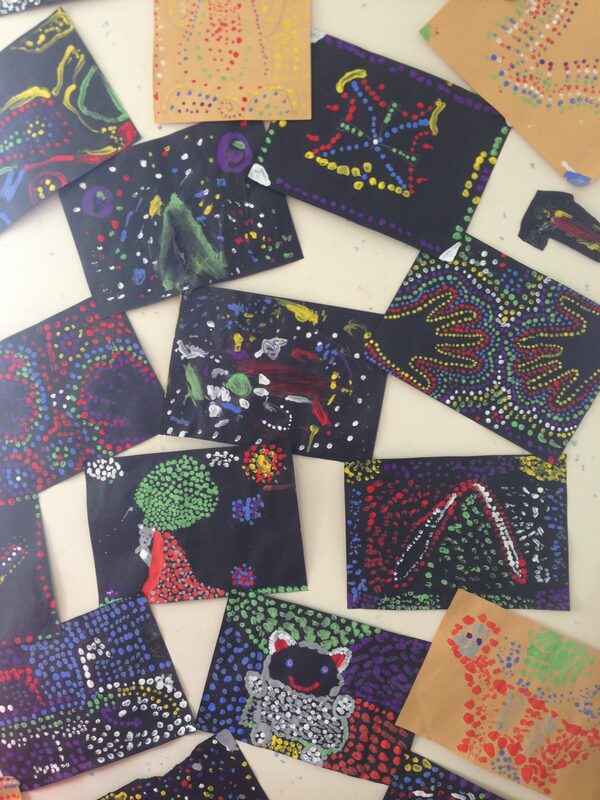 In Art, we created beautiful Aboriginal Dot paintings. Look at the amazing patterns we made! 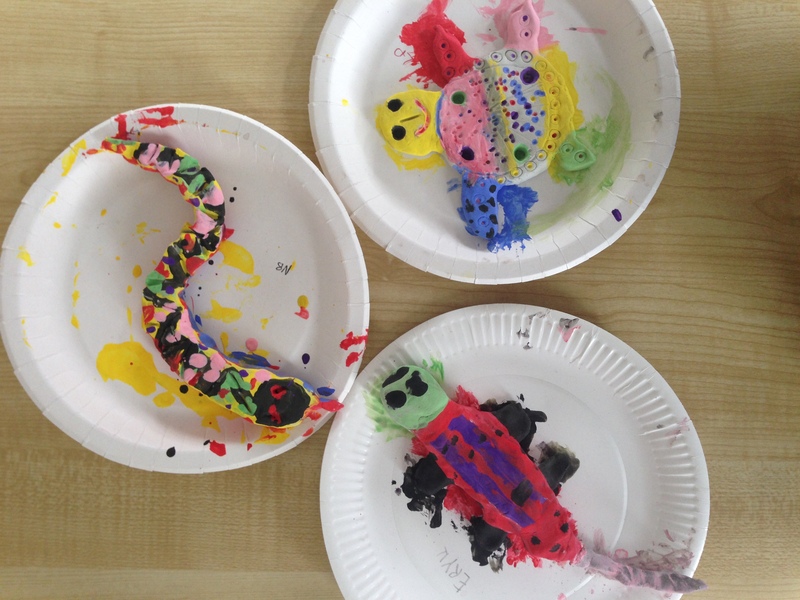 We also got our hands dirty and made some clay lizards, snakes and turtles.